Be sure to have extra guacamole on hand to pass around with this vegetarian dream of a sandwich. Jalapeño Havarti is sold pre-sliced in the deli department. But a plain Havarti or Gouda would be equally delicious. Place 4 slices of bread on work surface and spread evenly with guacamole. Divide cheese and tomato slices evenly over guacamole, then top with remaining bread. Spread half of butter over top of bread. Place sandwiches, buttered side down, in a non-stick skillet over medium heat. 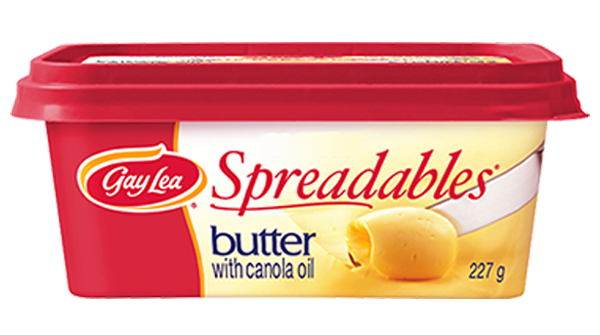 Spread tops with half of remaining butter. Cook for about 5 minutes, or until underside of bread is golden and cheese has started to melt. Flip sandwiches over; cook for 3 to 4 minutes longer or until underside is golden and cheese is melted. Repeat with remaining sandwiches and butter. For a non-vegetarian version, layer a thin slice of cooked chicken breast with the tomato slices.